Engagingly translating a beloved fantasy literary phenomenon into numerous emotionally and visually vibrant film adaptations can be an equally daunting and rewarding process. But director David Yates has once again powerfully overcome the initially intimidating prospect of bringing the acclaimed ‘Harry Potter’ book series to the screen, with his latest movie adaptation of novelist J.K. Rowling’s series. After helming the last four films in the original ‘Harry Potter’ series, as well as its first prequel, 2016’s ‘Fantastic Beasts and Where to Find Them,’ Yates has also fearlessly directed the franchise’s second prequel, ‘Fantastic Beasts: The Crimes of Grindelwald,’ which Warner Bros. is releasing tomorrow in theaters in the U.S. and the U.K. The filmmaker and Rowling, who also penned the script for the film series’ latest installment, once again infused the ‘Fantastic Beasts’ world with captivating character arcs and relationships, as well as magical special effects and settings. ‘Fantastic Beasts: The Crimes of Grindelwald,’ which is set n 1927, six months after the first prequel film ends, continues the adventures of obsessive magizoologist, Newt Scamander (Eddie Redmayne). The well-meaning but demure wizard learns that his intimidating foe, the villainous and powerful title dark wizard, Gellert Grindelwald (Johnny Depp), has escaped from the New York prison where he was being held after he was apprehended in ‘Fantastic Beasts and Where to Find Them.’ Grindelwald escapes in an effort to launch a populist movement to defeat the world’s non-magical population. Newt is approached by his former teacher at Hogwarts, Albus Dumbledore (Jude Law), to stop Grindelwald from taking over the world, as the powerful wizard in the British Wizarding Community has personal reasons why he can’t fight the dark wizard. Newt is initially hesitant to travel to France, as his brother, Theseus (Callum Turner), and other leaders at the British Ministry of Magic are still wary of his actions in New York. As a result, Newt isn’t a big supporter of the regional authorities, and is therefore initially hesitant to help them in their efforts. But Newt soon changes his mind when he learns that his latest love interest, Tina (Katherine Waterston), the investigator of dark wizards and newly reinstated auror whom he left behind in New York, is now in France. So he decides to head to its capitol city to find Tina, who wrongfully believes that he’s engaged to his former classmate at Hogwarts, Leta Lestrange (Zoë Kravitz), who’s actually engaged to Theseus. 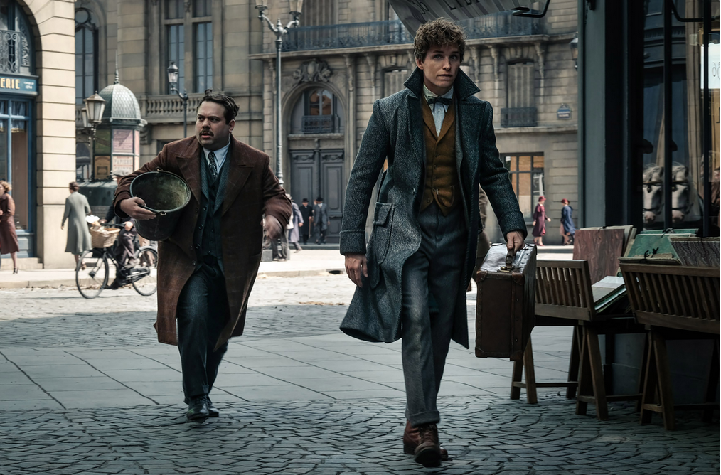 Newt travels to Paris with his friend, Jacob Kowalsk (Dan Fogler), without the knowledge of the British Wizarding Community, who have maintained his restriction on international travel.